Tiberius Claudius Caesar Britannicus was the son of Roman emperor Claudius. For a time he was considered his father's heir, but that changed after his mother's downfall in 48, when it was revealed she had a bigamous wedding behind Claudius' back. His step-brother would later be married to his sister Octavia, and soon eclipsed him as Claudius' heir. Following his father's death in October 54, Nero became emperor. 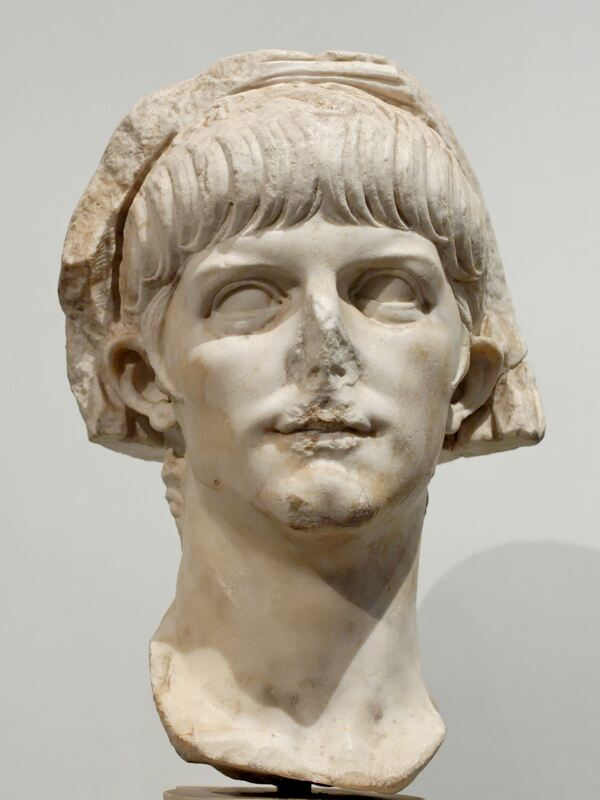 Britannicus was murdered by Nero sometime on or before 11 February 55, his fourteenth birthday.